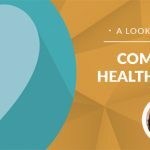 On day 10 (and the final day) of our year in review, Health Forward President/CEO Bridget McCandless, M.D., looks toward the new year and the Medicaid discussions in 2014. The hardest advocacy issue we are going to face in the next several years will be the discussion around Medicaid and how it reaches those who need it most. Right now Medicaid is a categorical program meaning that people who qualify must be below a certain level of poverty and fit into a special category (child, very-low income parent, aged, blind, disabled, or pregnant). While the Affordable Care Act as it was passed in 2009 required that states expand Medicaid, the Supreme Court decisions in 2012 left the decision up to each individual state. Both Kansas and Missouri chose not to do so in the 2013 session but face this choice again in the upcoming legislative session. The option that stands before us is to modify Medicaid such that the only eligibility requirement is low-income. While true that Medicaid expansion will offer coverage to able-bodied adults, I am not at all concerned about this. There are prudent economic reasons to make sure that low-income, able bodied adults have access to health care. It is a reasonable investment to be sure that access to inhalers, seizure medicine and insulin makes it possible for these otherwise healthy people to be able to stay healthy enough to remain working. There will be compromises required to make this happen. It will require creativity and thoughtfulness on all sides for the states to come up with solutions to Medicaid expansion—solutions in which we keep people their healthiest, so they can work, and raise their families, and reach their full potential.